If the pain is more severe and does not go away after rinsing, you can also try taking a pain reliever such as acetaminophen, ibuprofen or naproxen sodium. It is also not uncommon for your lips, cheeks, and tongue to become irritated for one to two weeks as they toughen and become used to the braces. 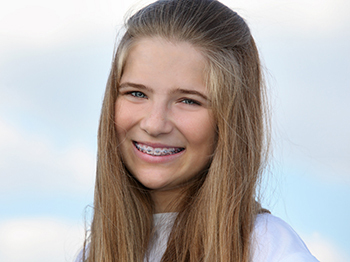 We would be happy to give you some wax that you can put over the braces to lessen the tenderness. If you need some wax, please let us know. You can temporarily fix the loose wire by using the back of a spoon or the eraser end of a pencil to carefully and gently push the wire back into place. If the loose wire is causing irritation to your lips or cheeks, put wax, a wet cotton ball or sugarless chewing gum over the broken wire to relieve the pain. Damaged appliances can increase the length of your treatment process, so be sure to take care of all your appliances. Your teeth and jaws can only move into their correct positions if you consistently wear the rubber bands, headgear, retainers, or other appliances prescribed by your doctor. Game, Set, Match — we have great news for athletes! You can still play sports even while undergoing orthodontic treatment! If you do play sports, it's recommended that you wear a mouthguard to protect your teeth and your appliances. Our office will provide you with the right mouthguard for the best protection.